Halifax police have issued a summary offence ticket to the driver of this Halifax Transit bus, which was involved in a bus-pedestrian collision last Friday night in Dartmouth. 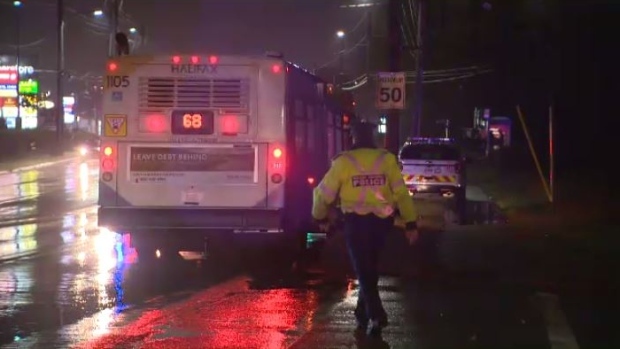 Halifax police have charged a 48-year-old female driver of a Halifax Transit bus for failing to yield to a pedestrian in a crosswalk. Police say they have given the driver a summary offence ticket after an incident that occurred around 7:25 p.m. last Friday on Portland Street in Dartmouth. Part of Portland Street remained closed until 11pm last Friday while the accident investigation section examined the scene.